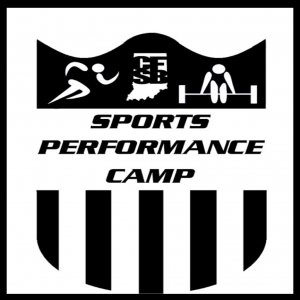 This is a Camp program designed to meet the universal demands of athletes. They need to have to attributes of speed, agility, explosiveness, strength, and power to be successful on the field. The way we accomplish this is through lifting heavy, conditioning (metabolic, sprint, jumping), and working with the mentality of "Train Fast Be Fast." Another key principle is building strong posture and position. Why is posture and position important? Your ability as an athlete to sprint, jump, change direction, is all dependent on whether or not you can maintain good posture and position through all ranges of motion. What’s the training going to look like? Warm Up/Dynamic Movement Prep: These components set the tempo for the day and ensure the athletes are prepared for the demand ahead in the day’s training. This is also where we will identify limiting factors and build the skill to be better movers. Strength work: There are two levels of strength (1) for the beginner and (2) the advanced participant. Here we build strength and power. As well as challenge posture and position. Sprint/Change of Direction: Mondays and Thursday we will work on the foundational comments of sprinting and change of direction to build a faster more agile athlete. Conditioning: Tuesday and Friday will be conditioning pieces. This could be any combination HIIT training, cardio, metcon, plyometrics, or strongman type movements. 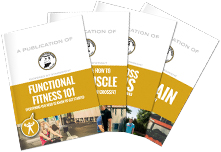 The conditioning is designed to prepare athletes for the physical and mental demands found in ALL field sports. Cooldown: This is where we start the recovery from a hard day of training, and set the athletes up for success for future training sessions. Start Date: Monday June 11th. Fill out the form to enroll in the camp!